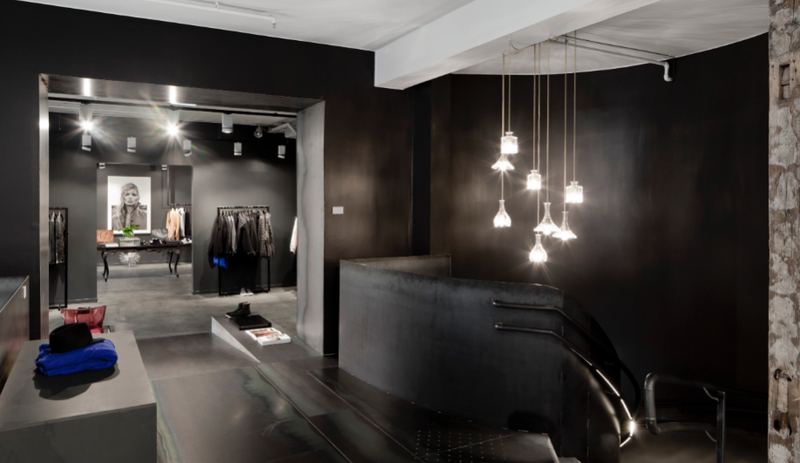 For the YME Studios concept shop in Oslo, the renowned firm tailored a unique interior, with sculpted wood and blackened metal that reference the fire and ice of a Scandinavian legend. “Miniature Paris” is how Oslo residents affectionately refer to the charming block surrounding The Royal House of Norway and the country’s parliament building. 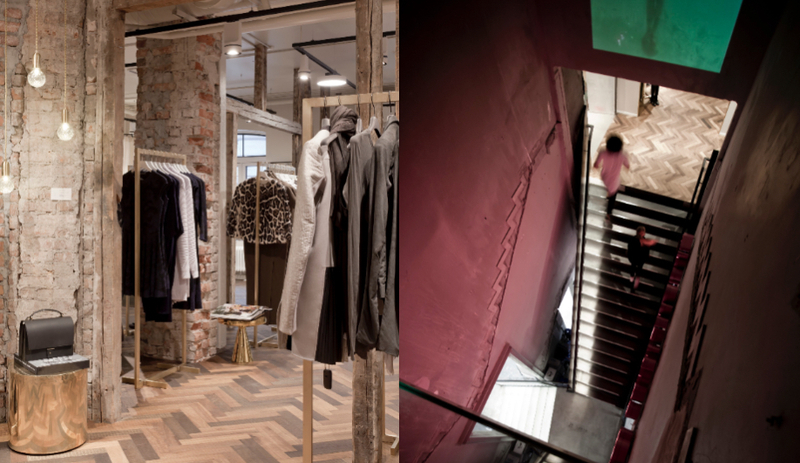 More recently, one of the neighbourhood’s buildings became home to YME Universe: a contemporary concept shop that focuses on fashion, art, interiors and design. 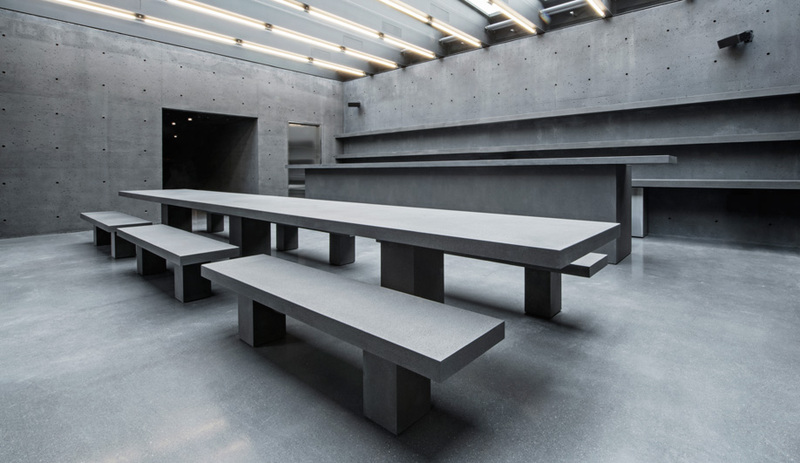 The retail brand collaborated with Snøhetta to create an edgy environment that would house a clothing store (carrying such names as Ann Demeulemeester and Rick Owens), an art gallery, a bookstore and café, and, slated to open in 2015, a roof garden. 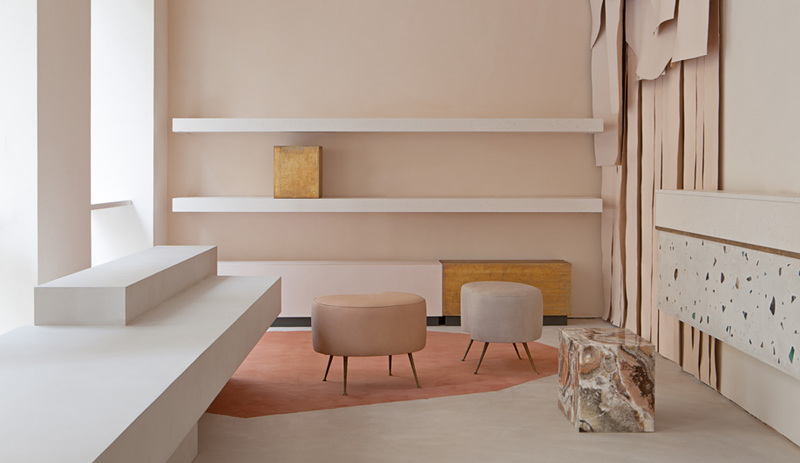 Housed in a mid-19th-century building that once served as a theatre, the interior preserves the original stud work, but is completely reimagined. The concept took six months to realize, and was inspired by a Norse creation myth. Yme is the name of a giant bred by fire and ice, before he is killed and transformed into Earth, so elements such as life and death are represented through a combination of materials and palettes. 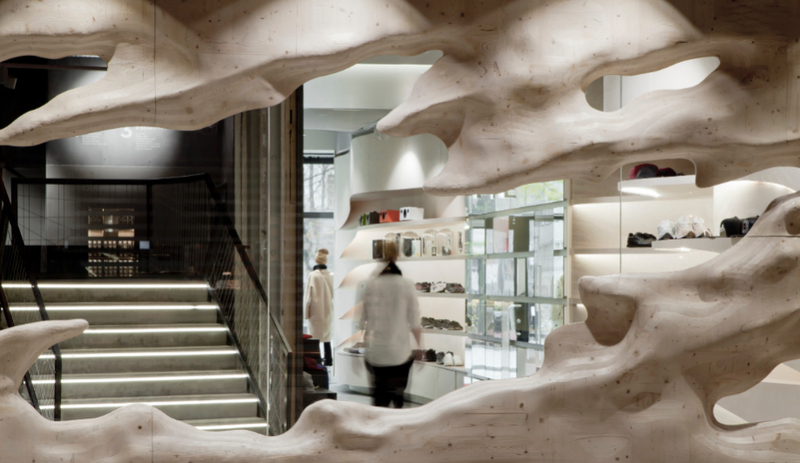 At the entrance, a 25-metre-long pine frieze evokes ice formations, melting and resolidifying. 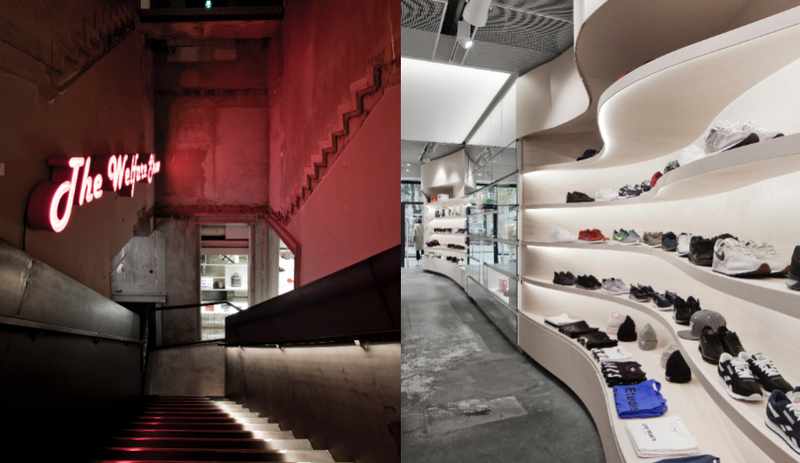 The first floor utilizes light and cool colours, while each level becomes darker and heavier. 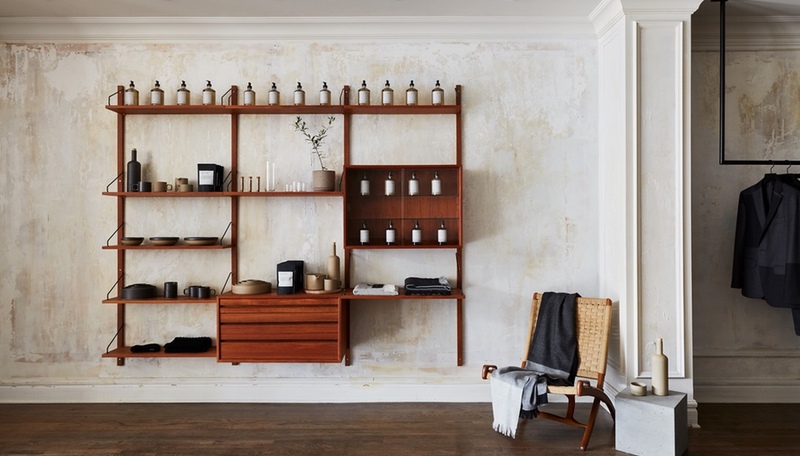 Floor two, home to women’s apparel, lends a feeling of warmth through unfinished wood columns, herringbone-style flooring and exposed neutral bricks. 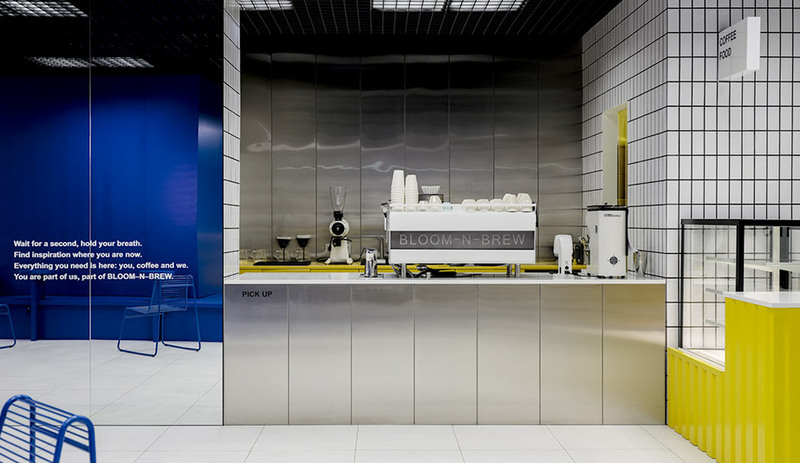 A steel spiral staircase leads up to the third floor, where visitors are greeted by a painted black space with scorched metal elements and art by Elmgren & Dragset, Gardar Eide Einarsson and Sigalit Landau; this is also home to the shop’s menswear labels, and its bookstore and cafe. Dramatically tying the interior together, a dramatic 12-metre-tall artwork topped by a transparent glass bridge allows a view from the top to the floors below.